Due on the way Haibara treat Conan, do wewe think Haibara really likes him? 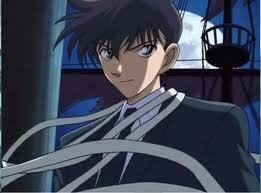 If shinichi was in the mashua and he need to rescue only one person, who will he rescue ran,ayumi au ai haibara? a comment was made to the poll: Are wewe agree if Kaito with...err... Shiho? a poll iliongezwa: Do wewe think Kogoro and Ruri can be a couple? Who is this at episode 345?